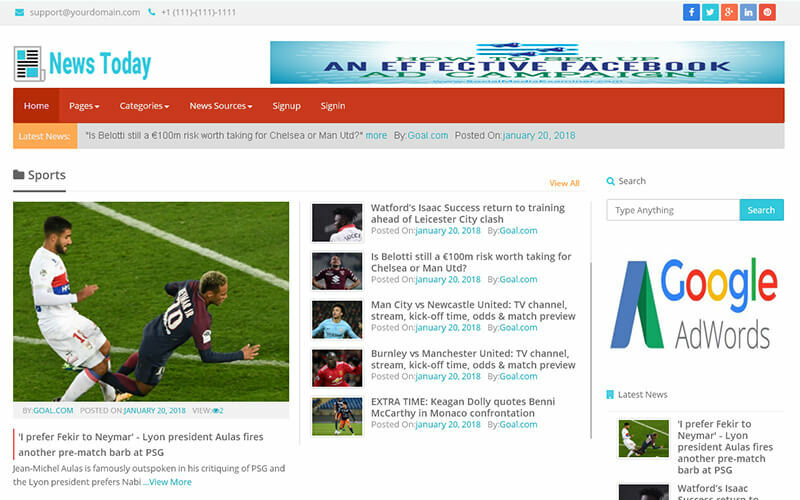 Our Wordpress News Portal Theme is the best choice for those who are looking forward to start online news publishing system. Our News Portal Script is developed using Wordpress CMS. It is a complete solution for your blog, newspaper, magazine, editorial publishing or review site. Our news portal theme is a perfect solution not only for the news portal you can also use for professional blogs magazine, fashion and lifestyle. Our theme is clean, modern, responsive and SEO friendly script. This is a wordpress theme advance layout option, custom widgets, easy configuration and high secure. We provide 1 year custom support; next 6 months based on the industry standard we update whenever the News Website Script is updated. Are you an entrepreneur or a freelancer or a developer? Because we will provide the source code with brand free, you can resell this script to any number of clients. Useful widgets for sidebar and footer. It is a superb script. Working with such a company is really good and am lucky too. This script has good design value and it is affordable. From installation and updation of the script they did everything for me. I just paid the amount only; remaining parts were done by the team only. They have a very good customer support team.